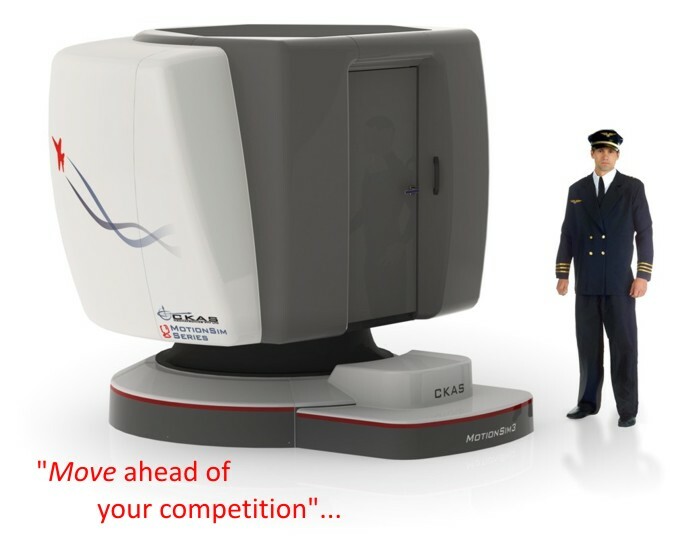 CKAS MotionSim3 Flight Training Devices offer a premiere level of fidelity and flight experience for serious flight schools and training colleges looking to move ahead of the competition by winning airline training contracts. These incredible devices offer many features often only found on full flight simulators (FFS), including the all new 7DOF motion which is especially designed to train for UPRT, Loss of Control and Disorientation Training - not even available on Full Flight Simulators. These units are not simply part task trainers - they can be used effectively to teach a person how to fly, under normal and emergency conditions. Boasting full professional 6DOF motion, very high fidelity cockpit replica, huge 200 degree wrap around display, full force digital electric control loading and trims and support for up to 2 people inside the cockpit, these devices truly offer full professional flight simulation training. CKAS has used quality components often found in real aircraft to create an excellent replica and not an “artist’s impression” of an aircraft cockpit like so many other simulators at a similar level. The MotionSim3 flight training devices feature a realistic inner cabin within a larger enclosed outer structure to house the visual system, all mounted on a motion system together to give that incredible synchronised "out of window" feel only usually found on genuine full flight simulators. This effect increases the realism dramatically and is far superior to other similar devices which use a single cabin structure with some LCD monitors hung on the walls as the visuals. Available in “Generic Conventional” and familiar “Glass” format, but additionally in “Type Specific” configuration for the most serious training requirements. 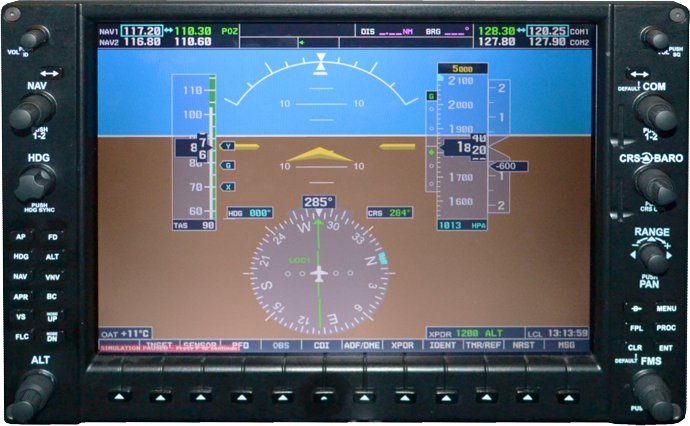 The MotionSim3 Generic devices can represent a piston single, piston twin, or turboprop twin in “steam” driven or glass format. Utilising only a small amount of room (even with full motion), the MotionSim3 devices offer unparalleled value to the serious flight training establishments. MotionSim3 devices can be delivered with type specific cockpits for high fidelity training. 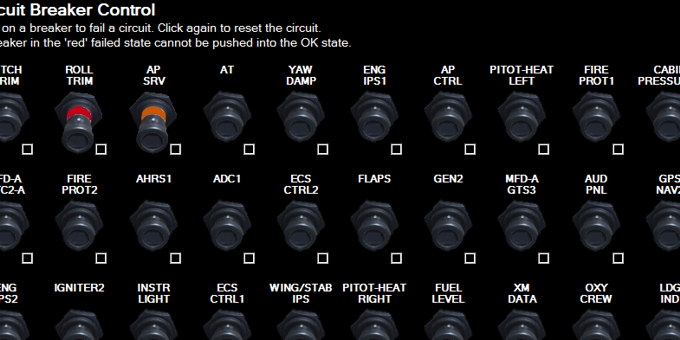 CKAS uses genuine aviation components and avionics for the development of type specific MotionSim3 cockpits to ensure the highest fidelity and value. The MotionSim3 flight training devices come with high force digital control loading with linked trims essentially identical to the larger MotionSim5 devices. Additional to this, the MotionSim3 devices come with full 6DOF or now optionally even 7DOF electric motion. 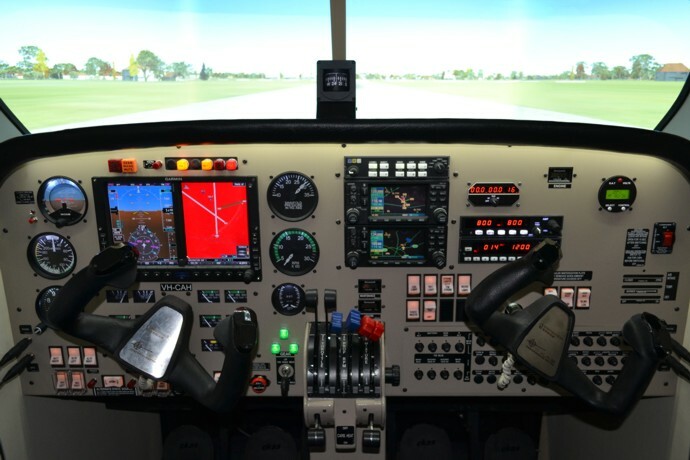 These key advanced features allow a training college to actually teach airmanship and flying skills including UPRT, Disorientation and Loss of Control Training in a simulator, instead of only IFR procedures. The MotionSim3 is an essential training tool for any serious training organisation. The MotionSim3 flight training devices come with reliable LED panel visuals spanning across 3 displays and offering a true perspective correct visual field of 200° horizontal x 40° vertical for the pilot. The visuals are perspective correct and horizon correct, not requiring pilots to look "up" at the horizon, but realistically "out of the window" instead, to allow for positive learning outcomes, and to efficiently train pilots in visual procedures. The Instructor Operating Station (IOS) is on board the MotionSim3 device, and is essentially located in the first officer seat location. This allows excellent one on one training between student and instructor, and allows very close capacity building training sessions. Optionally, CKAS can provide an external remote IOS to allow multi pilot training concurrently. The MotionSim3 flight training devices are as compact as possible for the features they offer, and incredibly, need just 4.2m x 4.2m (13'9" x 13'9") to operate in with a 2.7m (8'10") ceiling. Standard single phase 200-250V power (not 3 phase) is required, and a typical industrial concrete floor is sufficient. The unit is designed to allow any flight school or training college to accommodate this device without needing a huge sim centre facility. The MotionSim3 flight training devices are completely based on Commercial off the Shelf (CotS) technology, meaning that the life of the product is superior. 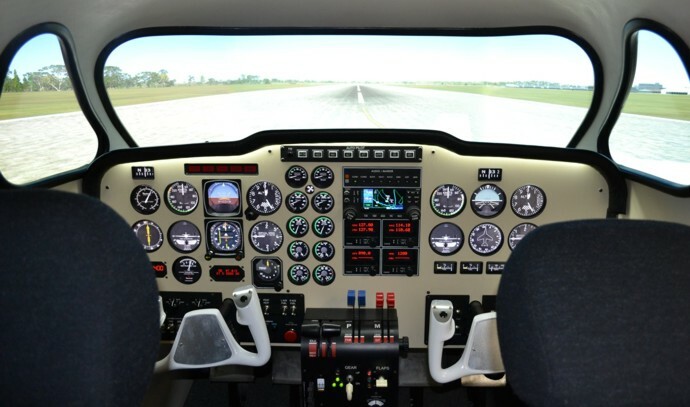 All equipment is at least 3rd generation in design and implementation and the reliability is absolutely key in ensuring a flight school or training college will have the ability and resources to ensure the device shall have a very long operational life, and continue to generate revenue and income well into the future. Clearly, many different configurations are available in the MotionSim3 range, and therefore all quoting is performed on a case by case basis - it should be noted however, that CKAS is committed to all aspects of flight training from ab initio, general aviation to airline training, and the value of our MotionSim3 range is truly cost performance curve changing technology.